Pack of Dorks by Beth Vrabel was a nominee for the 2016-17 South Carolina Children’s Book Award. Lucy is pretty secure in her status as one of the most popular girls in the 4th grade, but her best friend Becky convinces her that kissing Tom Lemmings at recess will really make her cool. Lucy reluctantly agrees, and that action may just cost her dearly. After the ill-fated kissing incident, Lucy quickly finds herself moving from the top of the heap in 4th grade to the bottom. Tom is no longer her boyfriend, Becky is being mean to her, and the other kids are laughing at her. And her situation at home isn’t much better. Her new baby sister has Down Syndrome, and Lucy’s parents are totally focused on the baby. They don’t seem to care at all about Lucy anymore. She feels all alone and doesn’t know who she can turn to. Lucy eventually finds an ally in quiet Sam Righter. The two share a table at lunch and work together on a class project about wolves. Through this project, Lucy compares the behavior of wolf packs to the treacherous world of school life. She looks at the actions of alphas, lone wolves, and how the weak or different are treated in wolf packs. The similarities between wolves and the kids in her world are striking, and Lucy thinks about how she could form her own pack. A pack of dorks. As Lucy learns more and more about wolves and grows closer to the other outsiders at school, she also thinks about her own behavior. Maybe she was not-so-nice in the past. She doesn’t want to be that way anymore, and she really doesn’t want her little sister to be the target of bullies just because she’s different. Can Lucy change her ways and become the person she wants to be? Will her “pack of dorks” be able to stand up to the bullies that torment them? Will Lucy find her place at school and within her own home? How will Lucy’s home and school situations be resolved? 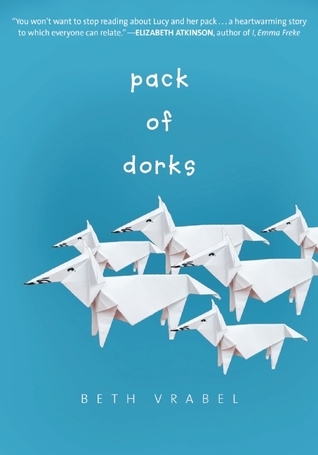 Find out when you read Pack of Dorks by Beth Vrabel! In addition to being an excellent book for addressing topics like bullying, respecting differences, and handling conflict, Pack of Dorks is also great for teaching the concept of voice. Lucy’s voice in this book is engaging and authentic, and many readers–no matter their ages–will respond to that. This wonderful book would make an excellent read-aloud in upper elementary and middle grade classrooms. 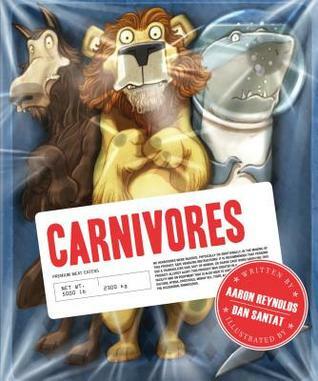 Carnivores, written by Aaron Reynolds and illustrated by Dan Santat, was a nominee for the 2015-2016 South Carolina Picture Book Award. It’s not easy being at the top of the food chain. Lions, sharks, and wolves may seem like ferocious carnivores, but they have feelings, too. They want to be liked by their neighbors, but it’s hard to make friends when their neighbors are so delicious. In an effort to curb their carnivorous ways, the lion, shark, and wolf decide to become vegetarians…but that doesn’t work out so well. Then, they come up with a plan to disguise themselves in an effort to fit in…but that doesn’t end well, either. What’s a lonely carnivore to do? Sometimes, all a lonely animal can do is embrace what makes them who they are…and find a few friends just like them. Carnivores would be a great addition to elementary studies of animals. It’s a fun book about carnivores, and it could inspire some young readers to write their own books about animals’ eating habits. The pictures in Carnivores are hilarious, the narrative is equally funny, and these two elements combine to create a laugh-out-loud experience that readers of all ages will enjoy. FYI, any readers who liked the sharks in Finding Nemo will be delighted by Carnivores. Nearly everyone knows the story of Little Red Riding Hood. This story has been told and retold in various different ways. We can read the original Grimm or Perrault tales, or we can check out books like Honestly, Red Riding Hood Was Rotten! By Trisha Speed Shaskan, The Wolf’s Story by Toby Forward, Ninja Red Riding Hood by Corey Rosen Schwartz, Petite Rouge: A Cajun Red Riding Hood by Mike Artell, Betsy Red Hoodie by Gail Carson Levine, and many, many others. As of April 1st, 2016, we’ll have a new Little Red Riding Hood story to add to the mix. 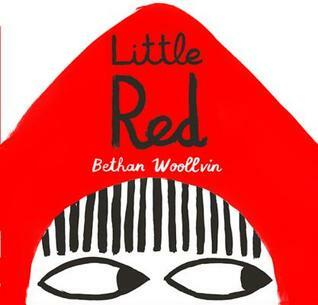 Little Red, written and illustrated by Bethan Woollvin, presents readers with a new look at a classic story and turns what we think we know about the title character on its ear. In this offering, Little Red isn’t easily fooled. No wily wolf is going to get anything over on her, and if he thinks he can disguise himself as her grandma and make Red his next meal, he’s about to be taught a very important lesson. Twelve-year-old Nika should be used to change by now, but nothing prepares her for leaving her latest foster home in California and spending the summer in the wilderness of Northern Minnesota. Nika and her little brother are staying with an uncle they’ve never met in a place that is totally unfamiliar. Nika’s brother, Randall, seems excited about this new adventure, but Nika is anxious. She wonders why her uncle never contacted them before now, how he feels about caring for two kids all summer, and what will happen to them when the summer ends. Something happens, though, that gives Nika a sense of purpose in her new surroundings. Nika and her uncle find an orphaned wolf pup and decide to care for him. Nika grows attached to the pup–who she names Khan–and she does whatever she can to make sure the little wolf is healthy and happy. She even entertains thoughts of keeping him for her own. As Nika cares for Khan and learns more about wolves and the wilderness around her, this lonely girl finds herself growing closer to her uncle and making something of a life for herself in Minnesota. For the first time since her mother’s tragic death, Nika feels like she belongs somewhere. But what will happen when Nika realizes that she and Khan can’t stay together? Will separation from the wolf pup erase everything Nika has come to love about this place? Can she accept Khan’s fate as well as her own? 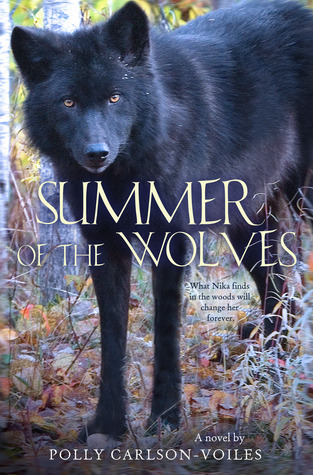 Read Summer of the Wolves, a 2014-15 South Carolina Book Award nominee by Polly Carlson-Voiles, to learn how one young girl’s relationship with a wolf pup helps her discover her own inner strength, her connection to nature, and what being part of a family really means. Wiener Wolf by Jeff Crosby, a nominee for the 13-14 South Carolina Picture Book Award, is a charming book that will resonate with both kids and adults. Wiener Dog is bored with his hoe-hum life with Granny…until he sees some wolves on the TV. He decides to then become a Wiener Wolf! He ditches his sweater, his toys, and his cushy life with Granny and roams the woods with his wolfie pals, drinking from a stream and playing with wolf pups. It doesn’t take long, though, for Wiener Wolf to decide that maybe his old life wasn’t so bad after all. (Chasing “dinner” through the forest will do that to you!) So, Wiener Wolf once again becomes Wiener Dog, but there may just be a way for this dog to enjoy his life with Granny and still find a place among friends. 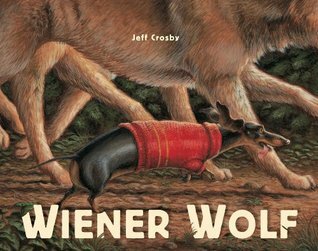 Learn how he does it when you read Wiener Wolf by Jeff Crosby! The illustrations in this book are simply adorable, and I know my students will be captivated by them. The story is short and lends itself well to read-alouds with young students. Wiener Wolf could also lead to discussions on how domesticated animals behave as opposed to their wilder counterparts.